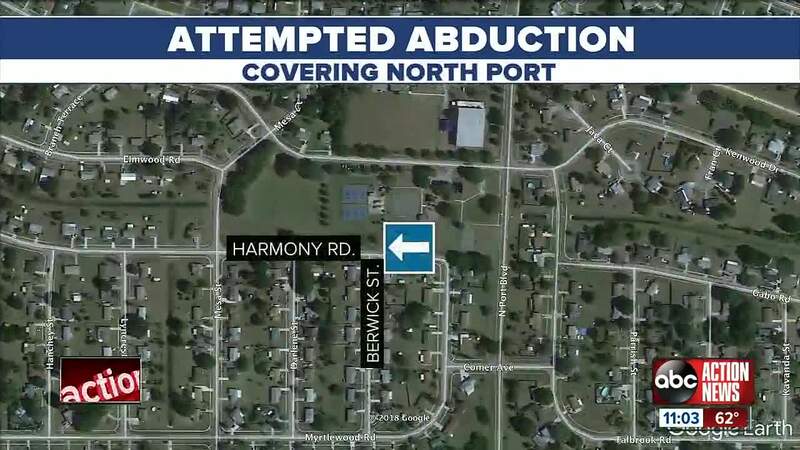 North Port Police are investigating what they call a 'serious and credible' attempted kidnapping report. On Monday evening NPPD was called to the area of Berwick St./Harmony Rd. on the southside of Highland Ridge Park about an attempted child abduction that happened around 8:30 a.m. The attempted abductor is described as a white male in his late 20s-30s. He is short, with a thin build, bald and wearing a black hooded sweatshirt. He was last seen on foot in the area of Highland Ridge Park. Police are hoping someone in the community had a video recording device in the area that may have captured the suspect. If you have any information on the suspect or the incident, please contact Det. James Keller at 941-429-7322 or jkeller@northportpd.com. Reference case #2019-02-0209.